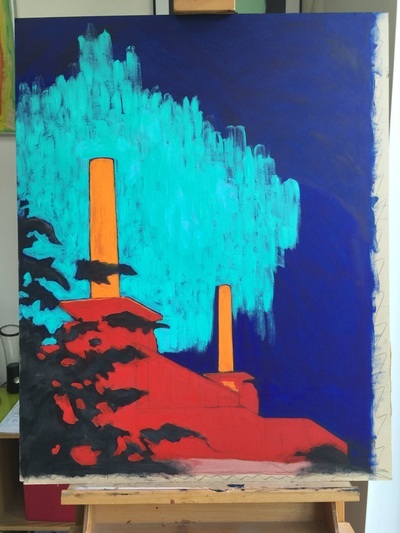 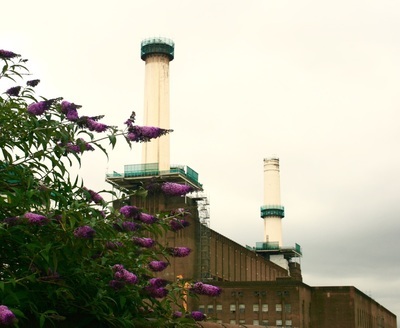 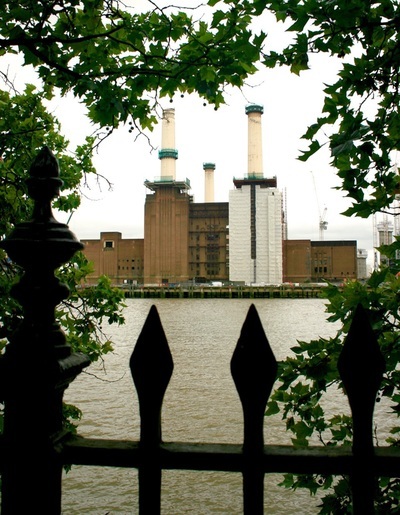 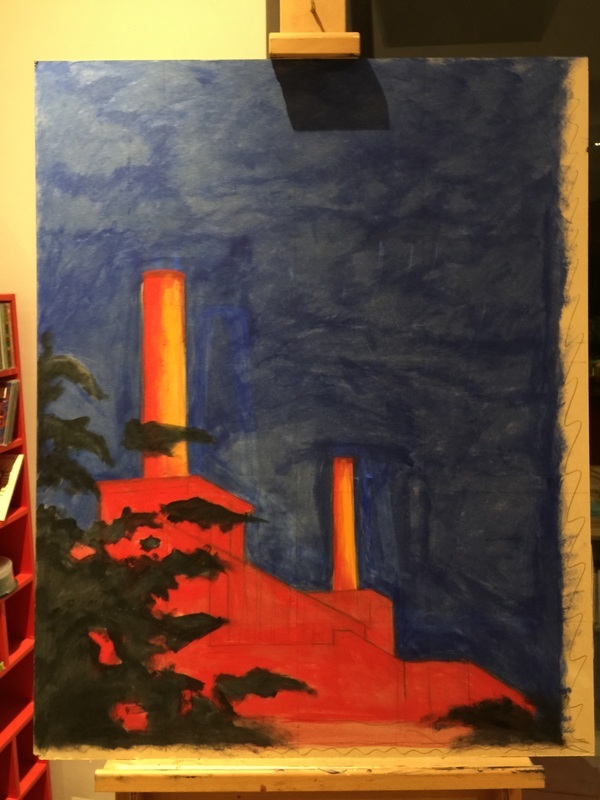 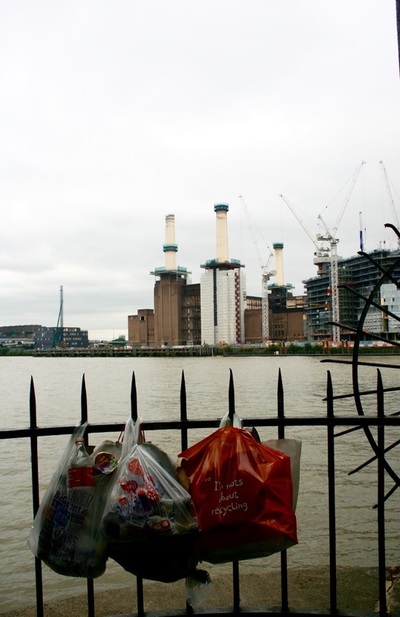 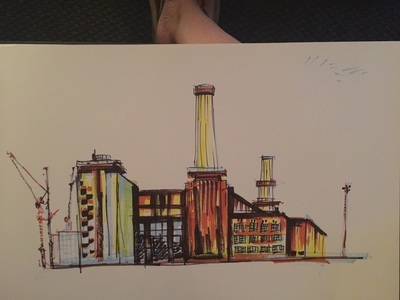 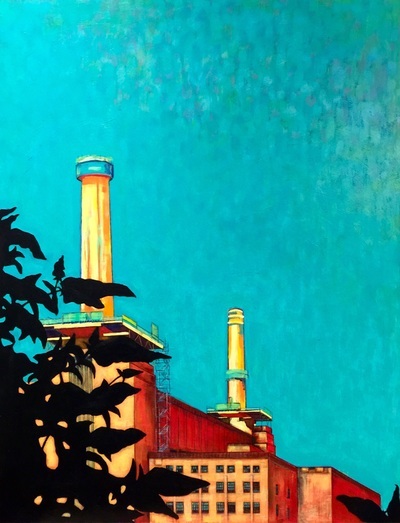 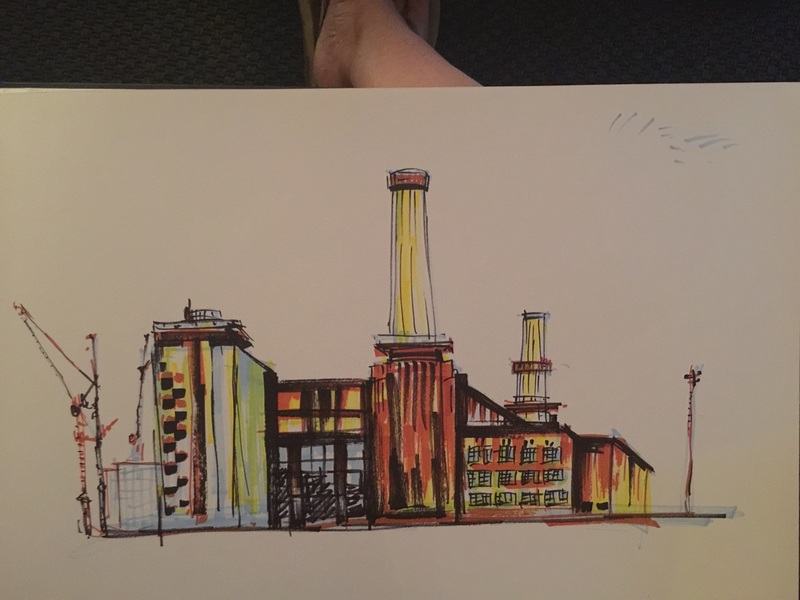 Battersea Art Centre invited artists to submit work inspired by Battersea Power Station for an exhibition about the regeneration of the site called Battersea Art Station. 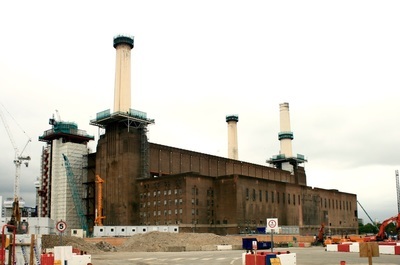 As a Londoner, I feel a strong connection to this building and have always admired it as an iconic architectural landmark. I took time to focus on this project and started out by visiting Battersea to take fresh reference photos and to look for my own angle and perspective on the building. From these photo's I sketched out and experimented with a colour palette and finally found a view of the building that I felt was recognisable and yet different from other classic photographs and paintings. 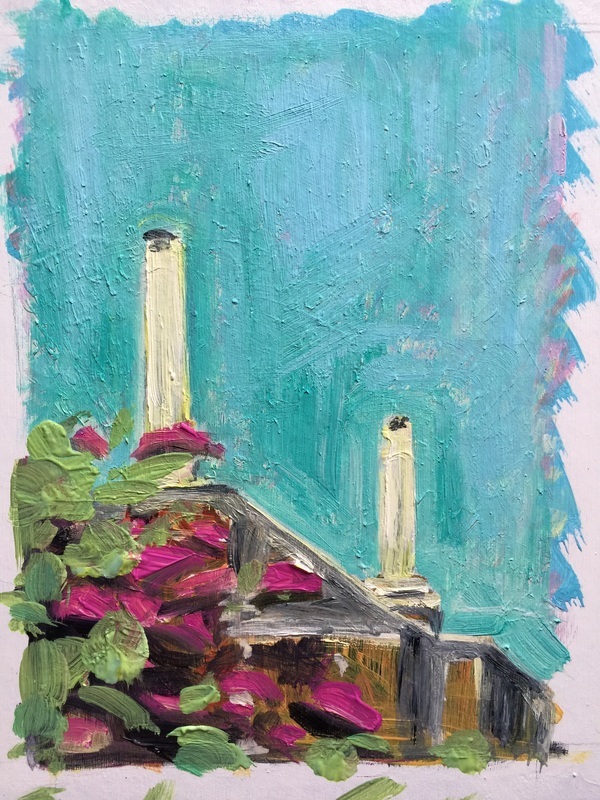 I like to think that I've painted a modern and contemporary image that is also reminiscent of the era in which the structure was built. My painting is titled 'New Power For Old Glory' with reference to the fact that the building is still important to London and continues to inspire people and power development in the city. 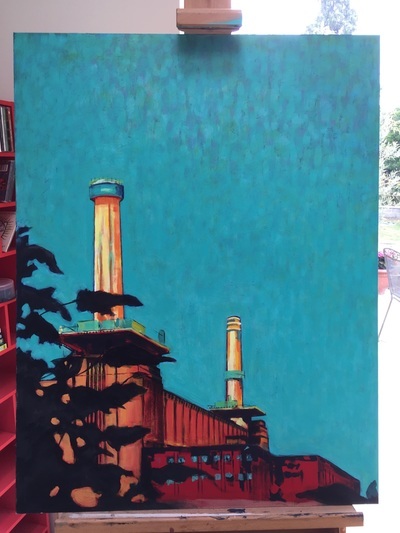 It will be displayed as part of the Battersea Art Station exhibition at Battersea Art Centre between 25th and 27th September 2015.